“This started in 1979- Newington CCA was local to me so I attended a meeting at the Church. It was about helping the elderly which I did for a while, then they needed an organising secretary to interview volunteers and visit the clients to identify their needs. So, I did it as it was good experience for when I eventually did go on the Social work course. We had a strong group of volunteers and it was a good organisation with a strong chair who was ex-military and knew all about committee work and doing things correctly. It was a good grounding for me. I was ‘head hunted’ by Chris Jarvis who ran Derringham Bank CCA. They were doing the same as Newington CCA. but using Youth Opportunities Programme to employ young people to do the visiting jobs that Newington CCA had volunteers for. They needed a supervisor and I got the job. As it was part time I could work the two organisations together, one being paid and one being voluntary. "Chris Jarvis wanted to amalgamate both CCAs and have a base in the new Lonsdale Street building. But I and others did not want this to happen. Newington CCA didn’t want to be taken over and disagreed with young people on the YOPs scheme doing what Newington mature volunteers were doing. I carried on working part time at Derringham CCA. Once a grant was awarded for Lonsdale- to develop it into a community centre, I took on the paid part time role as administrator with Newington CCA and the building and resigned from my Derringham Bank CCA job. So, I worked at Lonsdale Community Centre for Newington CCA and oversaw its renovation work for the next 4 years. During this time, I also worked part time at the Bransholme Voluntary Action Centre in Bransholme with Karen Spooner and met Diane Keech there. It was tricky to balance the two jobs with the amount of travelling. “1984- After four years of building work with activities going on in the building during this time, the Official opening of Lonsdale Community centre took place. The NCCA worked with a number of outside agencies, one being Riley High School by using the ‘remedial boys’. The centre had a lot of help from them as they got involved with digging up the hall floor and other joinery jobs, with the help of their teachers. It was good to work with the young people and see them enjoying what they were doing. In the early days Hull CVS had their offices at Lonsdale CC, they held meetings there and Lonsdale CC benefited from working with Kevin Curley, the co-ordinator. Again, this was a great help as CVS started a lot of groups while in the building – Hull Housing Action Team, Conservation volunteers so Lonsdale was a starting point for a lot of groups. Lesbian Line, Alternative Youth project, Hull Music Collective – I don’t think we turned anyone away. I remember that Dave Burnby was involved with the Co-operative Development Agency and the setting up of Hull CVS trading arm while CVS was in Lonsdale CC. The idea was to set up a business to sustain CVS (via CDA). NCCA gave all groups a chance to get established before charging full rent e.g. Thai Chi and Martial Arts. Started them off free, then 50/50 rent until they got off the ground. Lonsdale was taken advantage of at times. I took running Lonsdale Community Centre in my stride, I enjoyed it. I worked by instinct and was able to relate to people and get them to do things. "At this first meeting for HFCO only six groups with established community centres there:- Lonsdale C.C, Spring Bank, Drypool Green, North Hull, Edinburgh Street (who were going for school building then) and the Mitchell centre. The idea of the HFCO was to for community centres to support each other and to encourage others to go for community centre in their area. Kevin Curley helped the HFCO to obtain funding to employ a development worker and this is when Roslyn Abbott came on the scene. Doug Revell from North Hull Community Centre was the Chair of the HFCO and I was elected vice Chair. I am not sure why people elected me. The Social Work course got forgotten about and I continued to develop the Lonsdale C.C. as well as working on the HFCO committee. It was useful that Roslyn, HFCO development worker, was based in the Lonsdale centre. 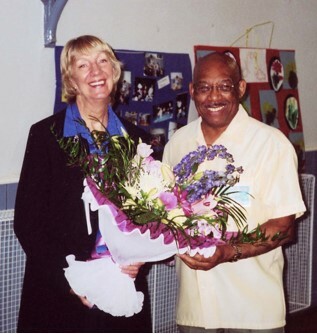 "I was elected to Community Matters committee; this was the national umbrella body for community associations. This was an adventure- going down to London! From then on I helped to run Community Matters training courses on managing and running community buildings, organisations and activities. This gave me confidence to run other courses and I worked with Lindsay Knott at a later date to create a course for Hull Community Network in 2003. "Whilst Chair of Community Matters they published a research document called Forgotten Resources which showed the amount of good work done within and by Community Associations. This had a big national launch and was aimed at recognising the value of the work done by Community groups running community buildings. It was hoped the government at the time would take it on board and give more support to community buildings. What a hope. After three years in office I was up for re-election, there was a coup behind my back. Someone on the committee said” What if Liz isn’t re-elected?” and got someone to stand against Liz (they talked behind my back and the committee voted in the other person). I felt there were some members of the committee who felt I was too close to Chares Woodd the Director. I remained on the Community Matters committee and it was noticed that the committee still looked at me when it came to making decisions to see how I would vote. "I was at the second meeting of the beginnings of Hull DOC at Dave Rogers house. Andy Dorton and Roslyn were involved. I served on the first DOC committee and helped with recruiting the initial staff although I did not sit on the interview panel, I took care of the administration. 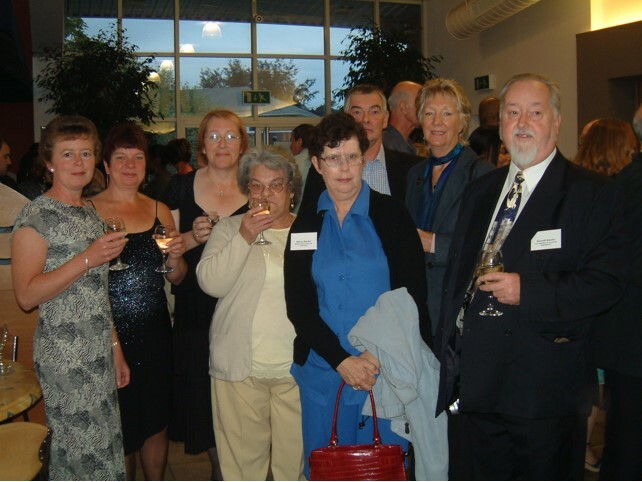 "I became the paid Regional Co-Ordinator for Community Matters which included consultancy with community organisations. So lots of voluntary work and some paid. In 2006 the old Carnegie Library (old West Hull library) came up for sale. Lonsdale couldn’t take it on so I called a public meeting at Lonsdale CC and people agreed that they didn’t want the building to go to wrack and ruin. A steering group was set up and we negotiated a peppercorn rent with the Council. The Hull History Centre helped by offering a service level agreement. Carnegie became a resource centre for local and family history. It has a lease with a peppercorn rent and has evolved into a successful enterprise with a good set of volunteers. People rent space e.g. the Bindery and the East Yorkshire Family History association which makes it financially secure but we also have to get grants for capital items. There is a good group of volunteers with a multitude of skills”. The Official Opening of Lonsdale Community centre was memorable as local councillors were invited as well as Councillor Violet Mitchell. The local East Riding Councillor for at the time was also the Mayor that year and as he lived in Newington area he came along in his chains which took the limelight from the local City councillors. We didn’t understand protocol at that time and Councillor Mitchell was a bit put out as they had supported the centre rather than the East Riding council. I went with Roslyn to a County Council meeting to see the leader Councillor Geraghty. I immediately rushed straight into why they were there, even before we had sat down. Again, not understanding about protocol! E.g. we should have led up to the subject. “I enjoy Carnegie most of the time. I certainly enjoyed Lonsdale in its early days. “I go by instinct when I work, maybe I should think about it and analyse it. I never realised that is was Community Development we were doing. I just felt we were doing things to help people. I don’t see myself as a leader, but others do. People say it to me. I did the first Youth and Community Work course in Hull, we were the Guinea pigs.. Was also a community consultant for Community Matters preferred doing training as I was more confident in that as I know my subject.